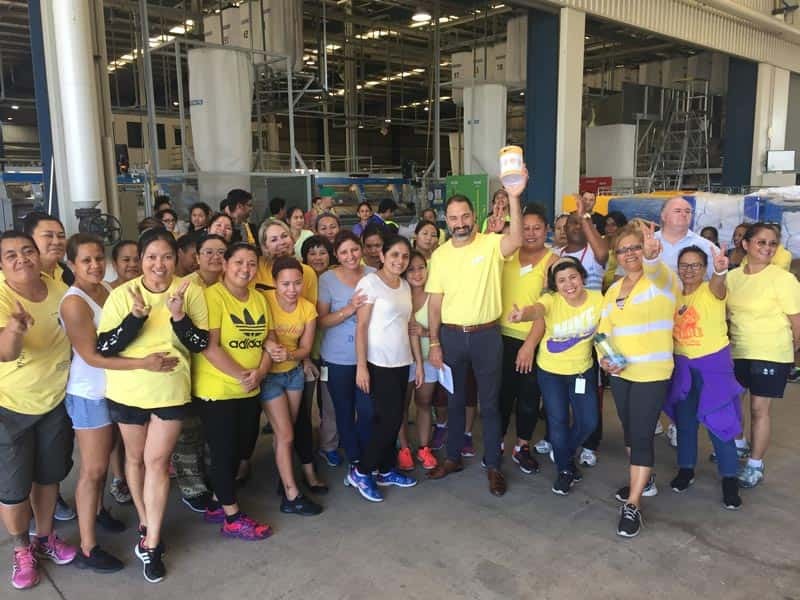 One of Queensland’s largest commercial laundries, Sunfresh Linen, is just one of the growing number of Australian businesses taking an analytical look at their workforces. Sunfresh Linen team members are set to revamp their corporate training this year after undergoing VMP eLearning’s Training Needs Analysis program. Two decades since its humble beginnings as an independent Ipswich laundry, Sunfresh Linen has grown into one of the largest laundry and linen services throughout South East Queensland, Northern NSW and Victoria. Founders, the George family, have expanded the once rundown operation into a burgeoning local business, with 300 employees laundering over one million pieces per week. As with most businesses that see substantial growth, the brand recently found itself in need of a complete overhaul of internal training. For General Manager Daniel George, a partnership with Brisbane-based eLearning developer, VMP eLearning, proved to be the key to understanding not only what was missing from his company’s current training but how to best deliver it. “Sunfresh Linen has grown exponentially, and it was becoming increasingly clear we needed to take a fresh look at our staff training program,” said George, who underwent VMP eLearning’s Training Needs Analysis program this March. The program, designed by Dr Ruth Schwarzenbock, who holds a PhD in Science of Education as well as over a decade of experience in education and training sectors, aims to identify risks, strengths, learning types, and gaps in the skills of workforces of businesses looking to develop eLearning courses. “I was reluctant to engage in another time-consuming process but the meeting with Dr Schwarzenbock was really effective,” said George. The Training Needs Analysis program, rolled out by VMP eLearning this year, is a step forward for Australia’s eLearning industry in combatting the costly mistake of redundant or ineffective training. According to Dr Schwarzenbock, the full analysis will allow businesses to capitalise on the growing eLearning boon knowing where to allocate their training budgets and how to easily target exact areas of internal improvement and training. “Everyone is aware of eLearning and its benefits, which means that sometimes companies switch to this type of training without making sure that all necessary prerequisites are met,” said Dr Schwarzenbock. “Our Needs Analysis program is an innovative step forward to ensure everyone involved in the process, from management to staff to end users, are consulted and considered in order to create customised and successful eLearning. See this article in print HERE! If you’re interested in our Training Needs Analysis, Contact Us for a Free Quote.